IT was 1940 when schoolboy Peter Farrer first developed an interest in women’s clothing. And so fascinated did the 14-year-old clergyman’s son become that, in the privacy of the family home, he started trying on garments on for himself. Farrer, who lives in Liverpool, traded lace for the uniform of a soldier for three years, before Civvy Street beckoned and a lifetime career as a tax inspector. But behind closed doors the twice married father-of-one was amassing an impressive wardrobe of ladies wear. Later this month his collection, spanning some of the most interesting eras in female fashion, will be the focus of Britain’s first ever national exhibition of a clothing collected by a single cross dresser. 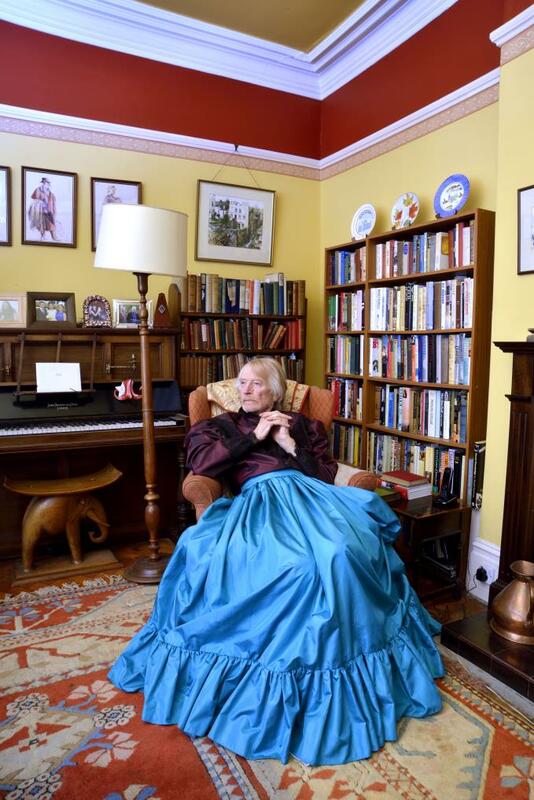 Transformation: One Man’s Cross Dressing Wardrobe, will be staged as part of Liverpool Homotopia 2015. The Walker Art Gallery is the venue, allowing Farrar’s evening gowns and other costumes pride of place alongside the Renaissance masterpieces, Tudor portraits and one of the best collections of Victorian and Pre-Raphaelite art in Britain. Pauline Rushton, curator of costumes and textiles at National Museums Liverpool, said: “Peter’s vast costume collection contains some truly wonderful pieces. His life-long passion for taffeta is reflected in a fabulous range of evening dresses from the 1930s to the 1980s. We’re thrilled to be able to showcase a selection of these outfits here at the gallery. Farrer’s father was a schoolmaster and clergyman and the family lived in a number of different locations while he was growing up. Born in Surrey in 1926, he served in the Army for three years before studying at Oxford. Upon graduating, he joined the Civil Service where he stayed until retirement. During the early years of his collecting, Farrer ordered women’s clothing and underwear by mail order. He also shopped in department stores, where he felt no pressure to explain that the garments were for him. In 2000, he began to purchase taffeta dresses, skirts and blouses from the Brighton-based clothing company, Kentucky Woman. Founded by Sandi Hall in 1990, the company specialised in making bespoke garments in period styles, often for members of the transgender and cross-dressing communities. *Transformation: One Man’s Cross Dressing Wardrobe, Walker Art Gallery, William Brown Street, Liverpool, October 24 to February 2017. Free.